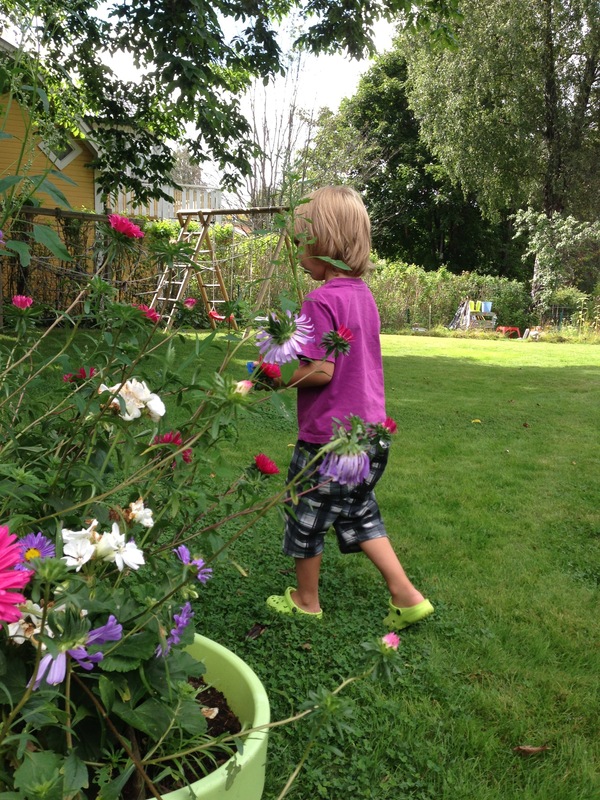 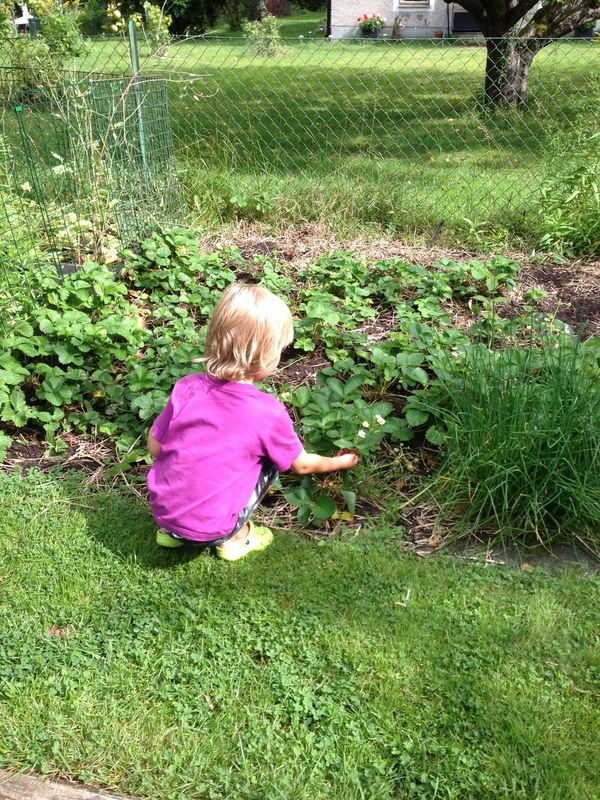 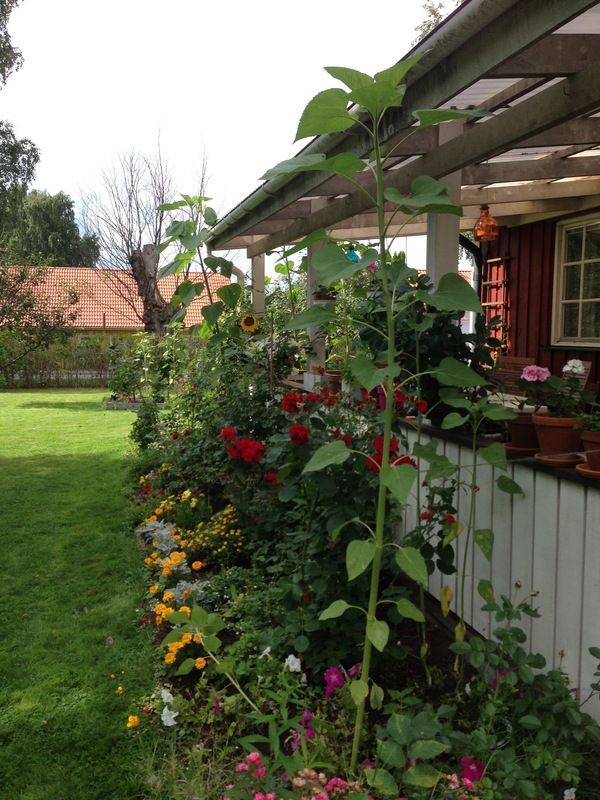 We have so many beautiful flowers in our garden right now. 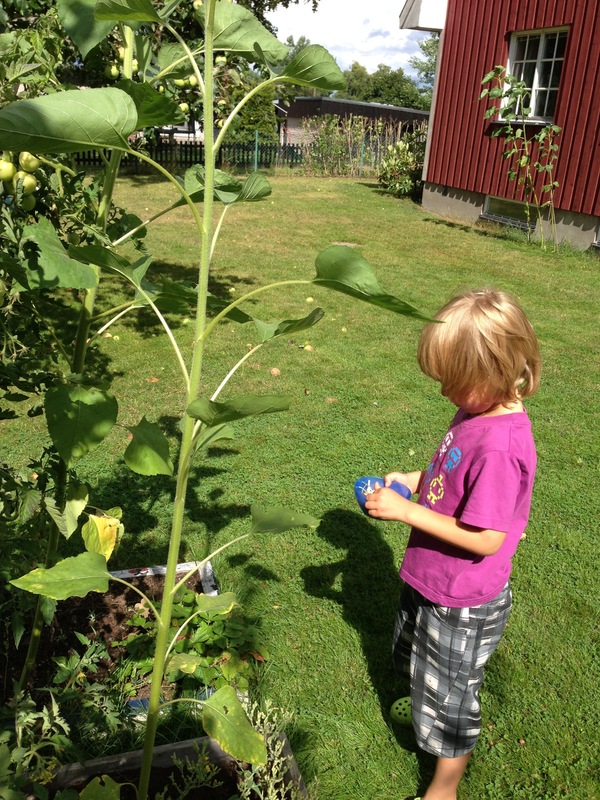 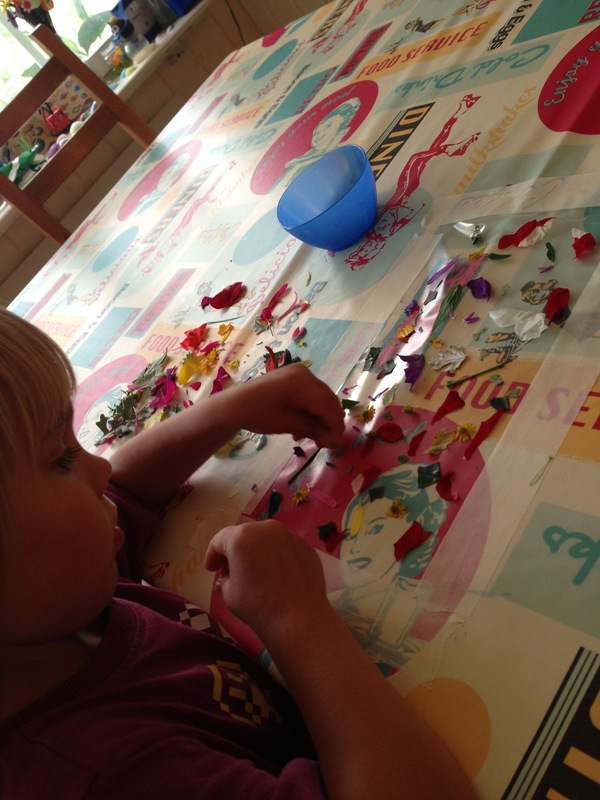 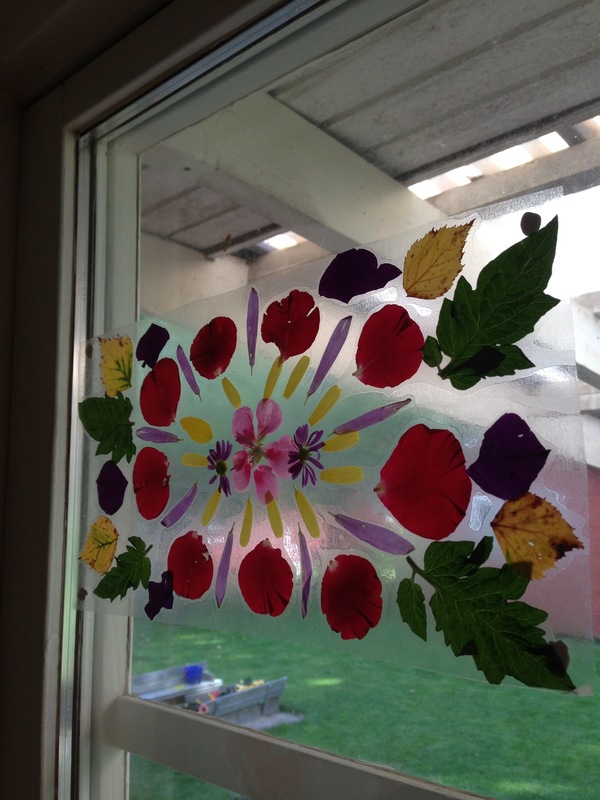 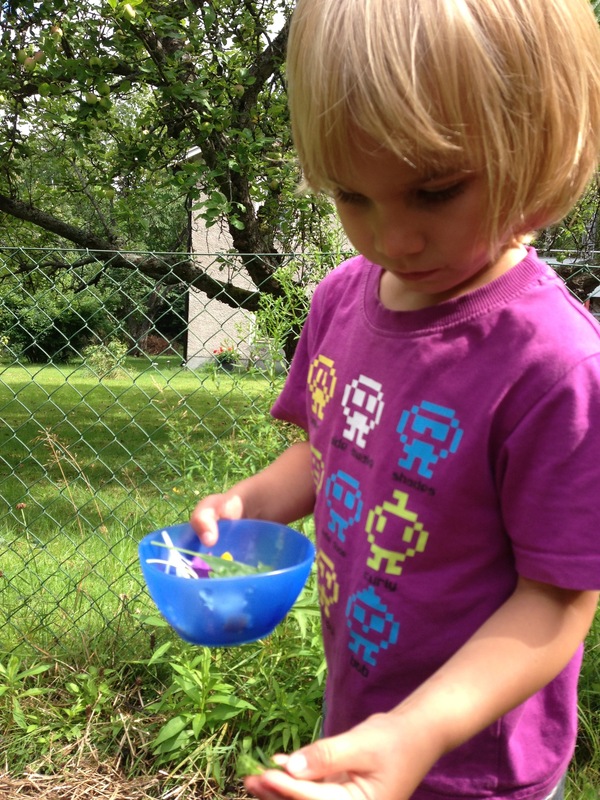 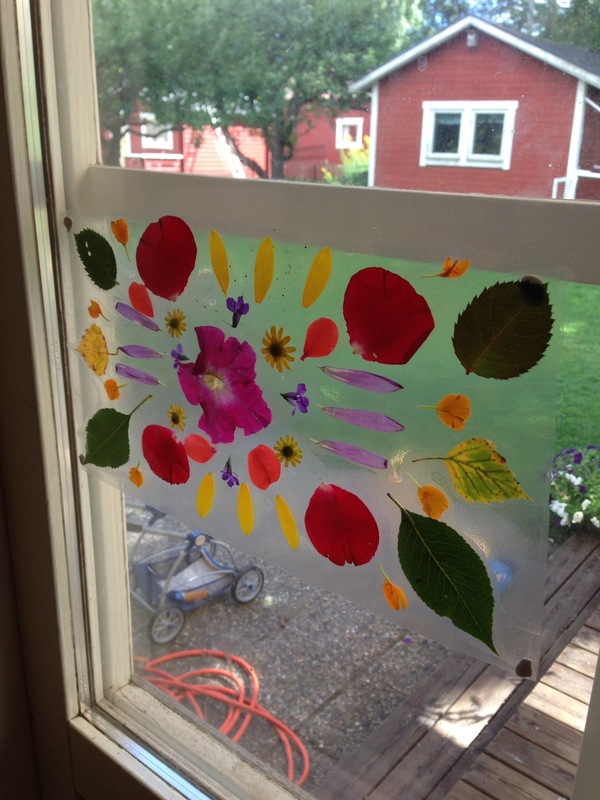 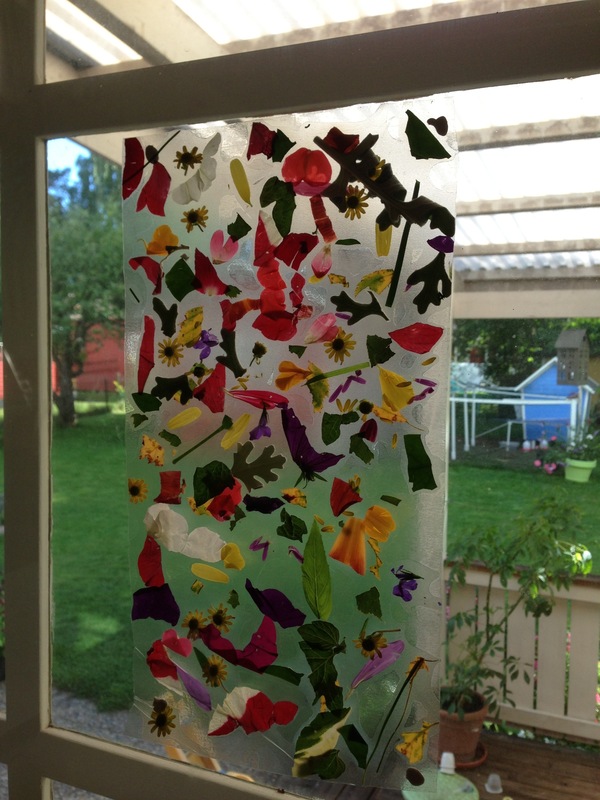 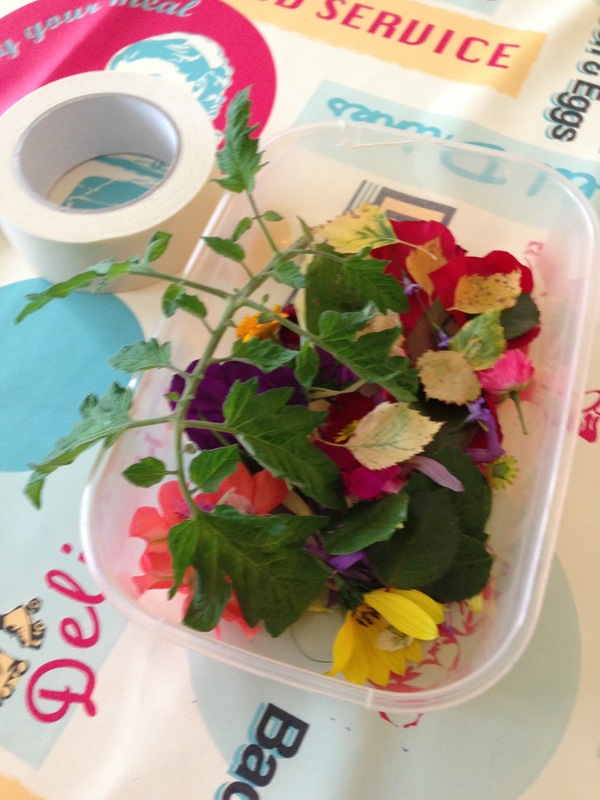 We decided to try some ‘stained glass flower art’ (from the artful parent blog). 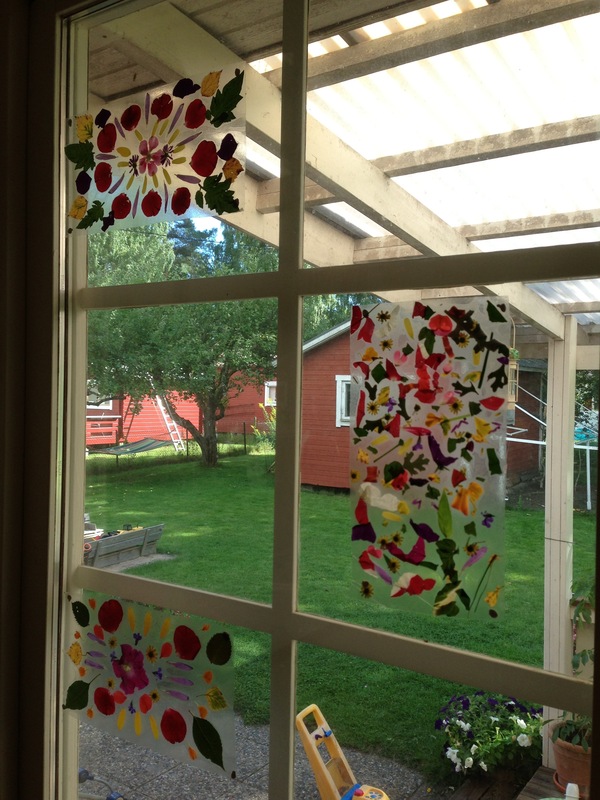 …and put them up in a window….